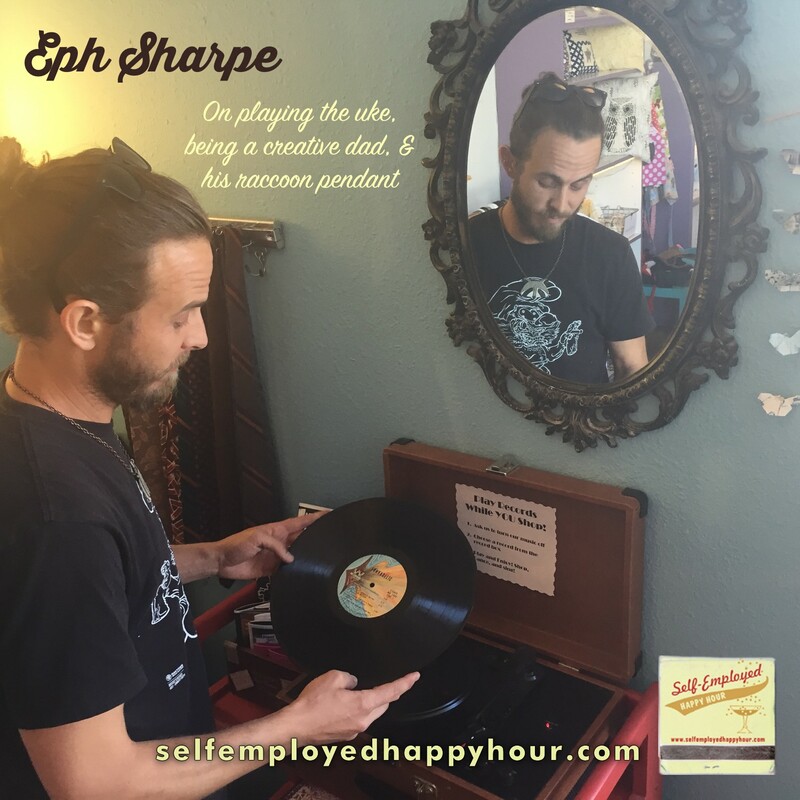 I’m back at the mic with more tales from the self-employed front. In this episode I interview Collin Troy, a.k.a. Eph Sharpe, known to hip hop fans for his work with 2bers, but who also has a crap-ton of other creative ventures on his plate, including a new solo music project called Factory on Fire. Collin’s also a graphic designer, visual artist, event organizer and all-around maker of creative things. Collin and I talk about how he fell into graphic design and entrepreneurship in order to support his creative work. He also shares what’s up with his new solo project, and how he deals with the always unpredictable juggle involved in being both a parent and a creative person. Song clip: “Break Me Down” by Eph Sharpe.